Concrete is the most produced material in the world to date, with around 23 billion metric tons being produced annually. Although concrete itself does not have a large carbon footprint per unit volume, this massive production means that it is a huge contributor to the total carbon emissions due to human activity. Nowadays around 10% of all anthropogenic greenhouse gas emissions are due to concrete production and thereof around 5-8% can be attributed directly to the production of cement, where large amounts of CO2 are emitted because of the decalcination of limestone and the burning of fossil fuels in cement kilns. 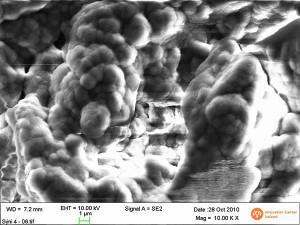 Scanning Electron Microscope (SEM) image showing the gel like microstructure of the binder. At the Innovation Center Iceland (ICI), investigations regarding environmental solutions for the concrete and the building industry have been going on for several years. One of these solutions is the development of a cement free binder using waste materials in Iceland. The project initially started as a response to the eruption of Eyjafjallajökull in 2010, with the aim of using some of the vast amounts of volcanic ash as a source material for a geopolymer binder. Geopolymers or alkali activated binders are inorganic aluminosilicate polymers, synthesized from predominantly silicon and aluminium materials of geological origin (like rocks, clay, mud, etc.) or by-product materials such as fly ash, silica fume or slag. In fact it can be said that any kind of silica or alumina source that easily dissolves in basic solution, can act as a precursor for a geopolymer cement free binder and take part in a geopolymerisation process. The material selection for geopolymers depends on aspects such as source availability, type of application, cost and specific requirements of the end users. The project started off by exploring how volcanic ash could be activated. Once this was successfully achieved, other waste materials from Iceland were investigated. Geothermal silica (from run-off water from geothermal power plants) was incorporated into the mix with positive results. 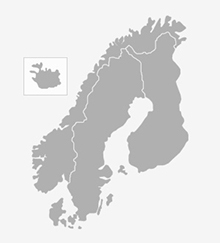 The addition of diatomite, the fossilized remains of aquatic single celled algea that is common in the northeast of Iceland, has also been investigated. Alongside these investigations, the addition of supplementary cementitious materials (silica fume, fly ash and slag) was examined, as well as waste products from the aluminium industry. 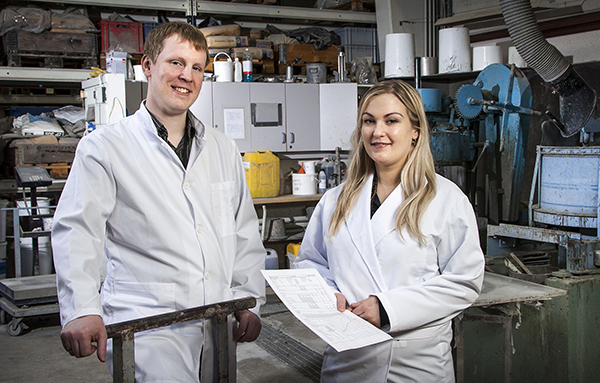 The work has led to mix designs of very environmentally friendly binders, as well as the creation of a substantial knowledge database of how a number of Icelandic waste materials can be alkali activated and/or how they can be used to compliment such an activation. For example, the research work has identified how volcanic ash based mix design can be altered to enable much more practical curing conditions. The future applications of these environmentally friendly binders are similar to those of conventional concrete, although initially they are expected to be used in more restricted projects. The use of these binders will also depend on the utilization of performance based concrete specifications rather than prescriptive based specifications. The positive characteristics of these environmentally friendly binders have already attracted attention from outside the construction industry and variations on these binders may go into production this year. The research work has received generous funding from the Icelandic road directory and the author would like to extend her thanks for the support. 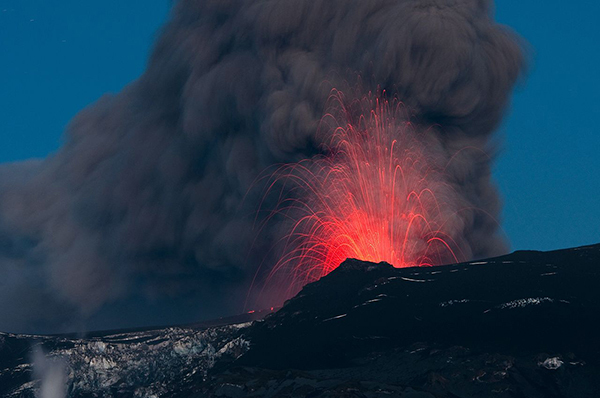 This entry was posted in Environment and Climate and tagged cement, environmentally friendly, Eyjafjallajökull, iceland, Innovation Center Iceland (ICI), IRCA, volcanic ash. Bookmark the permalink.